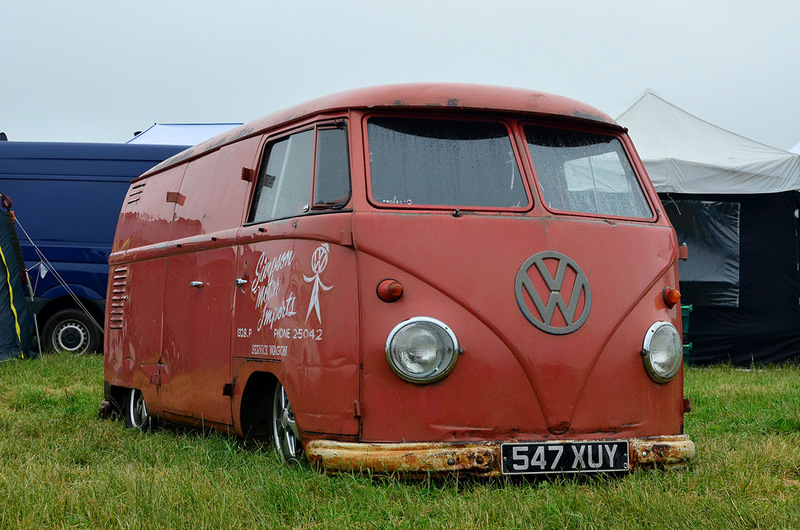 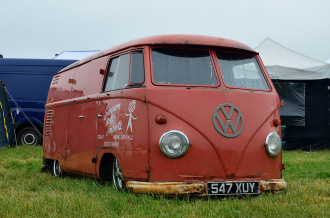 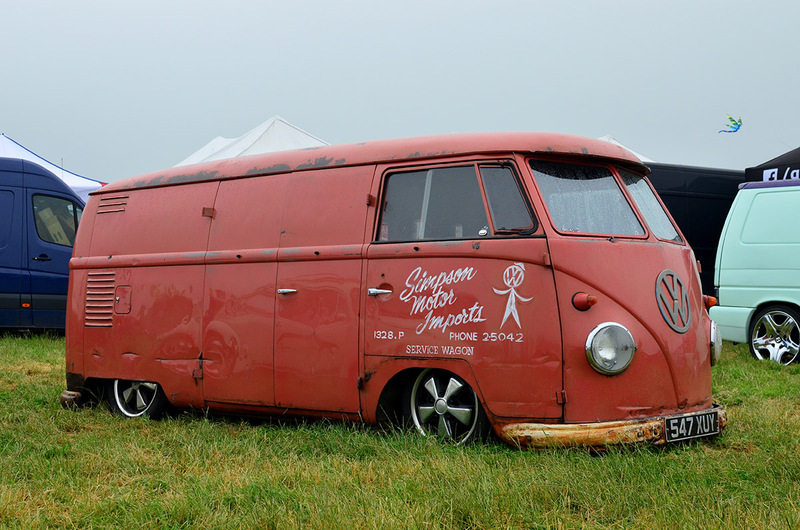 This split screen panel van, belonging to Charlie at Project 1, was found in a field in Nebraska and brought to the UK. 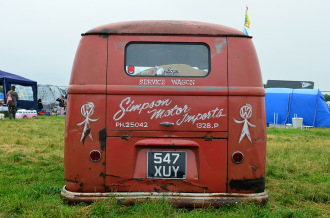 It had sat in the field since the 60’s and had been left to rot and used as target practice by the gun wielding locals. Charlie’s done all sorts of cool stuff to it to get it how it is today. 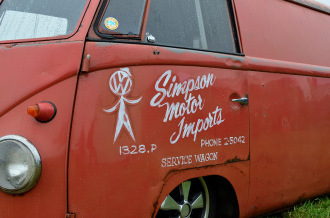 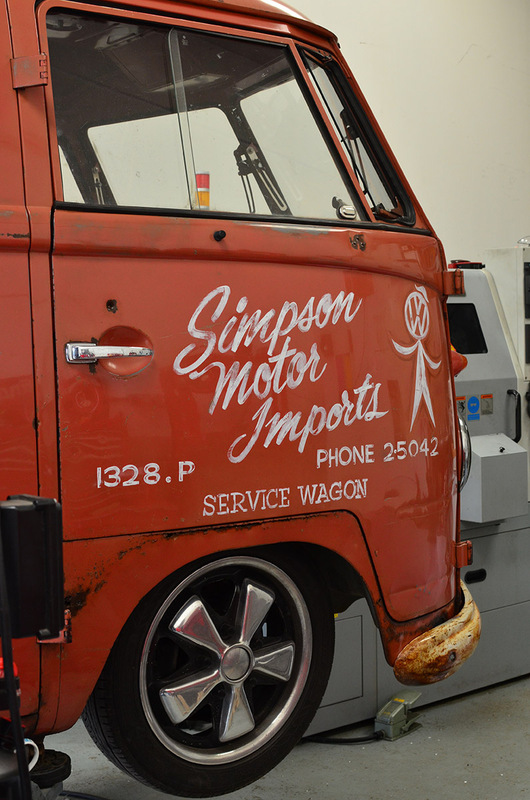 My job was to trace over the signwriting and re-paint it, giving it an aged effect to match the rest of the van. 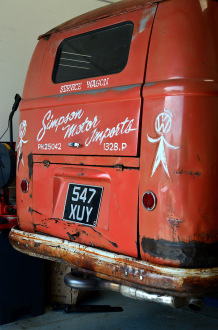 The original signwriting was extremely faded and could only be seen from certain angles, I re-drew it onto the van with pencil and then got the paint out. I love the work but always feel a bit sad coming away from vehicles like this, and I was missing this one as soon as I started driving away.